Mevadhashma, offering complete range of operation and maintenance spares for complete range of power generating equipments and another related auxiliaries to their clients. 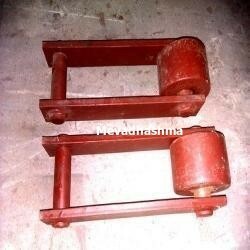 Mevadhashma already offering Chinese esp O&M spares, Chinese boiler o&m spares, O&M esp spares, O&M Boiler Spares, Operation and maintenance spares for plants, dust collector o&m spares, casting components, machining components, all types of shaft, forging components, refractory nozzle, spiral nozzle, air preheater spares, etc. Mevadhashma also offer all kind of major industries steel plant spares, cement plant spares, coal plant spares, mining plant spares, sugar plant spares, etc as per customer and customized spares also. Keeping in mind, ever-evolving requirements of our valuable clients, we are offering an exclusive range of Stainless Steel Grating for Channel. This steel grating is manufactured using top quality raw material and latest technology keeping in mind the set norms of industry. The offered steel grating is well known among patrons for its flawless performance & long service life. 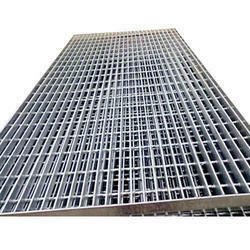 We are giving this steel grating to our customers in varied specifications at market leading rates. 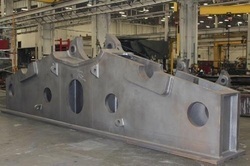 Mevadhashma has a prominent name in providing a flawless range of fabrication of Industrial Equipment.We offer these to the client as per their individual needs and demands. We are successfully ranked as the top manufacturer, exporter and supplier of ESP Spares. Provided spare is offered in different specifications as per the requirements of clientele. This spare is developed with the help of competent workforce using high quality raw material and leading technology. Offered spare is high on demand among our patrons due to its dimensional accuracy. We are a leading manufacturer of a good quality of Outer Arm.